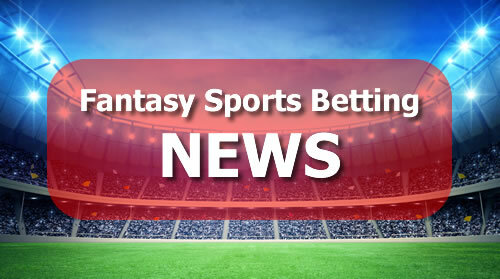 Fantasy sports betting giant DraftKings has raised $70 million in its latest round of funding, according to reports in the Boston Globe by two unnamed insiders. The cash injection will be added to the $500 million invested in the company in two previous rounds last summer, which valued the company at around $2 billion. DraftKings current stakeholders hail from a range of different fields, from the financial services industry to sports leagues. Major investors include multinational paper-and-packaging firm the Kraft Group, which also owns the New England Patriots NFL franchise and New England Revolution soccer squad, as well as the Twenty-First Century Fox media empire, investment firm Wellington Management and the Major League Baseball organization. A report by commercial tracking organisation iSpot.tv reveals how much DraftKings spent on TV advertising in 2015 as it battled not only main rival FanDuel, but also regulatory issues in a number of states. The Boston-based company aired 25 different advertisements on more than 46,000 occasions at a cost of $156 million. In addition, it paid for more television spots than any other US advertiser in the weeks surrounding the launch of the NFL season. Despite the threat of curbs on the advertising of fantasy sports betting products and even the outright banning of them in some states, DraftKings is said to still believe in the future of the industry, recently expanding to offer services in the UK where it has obtained an operating license from the UK Gambling Commission.